In episode 15 of Children of the Force, we have an interview with Fantasy Flight Games‘ Kyle Dekker. 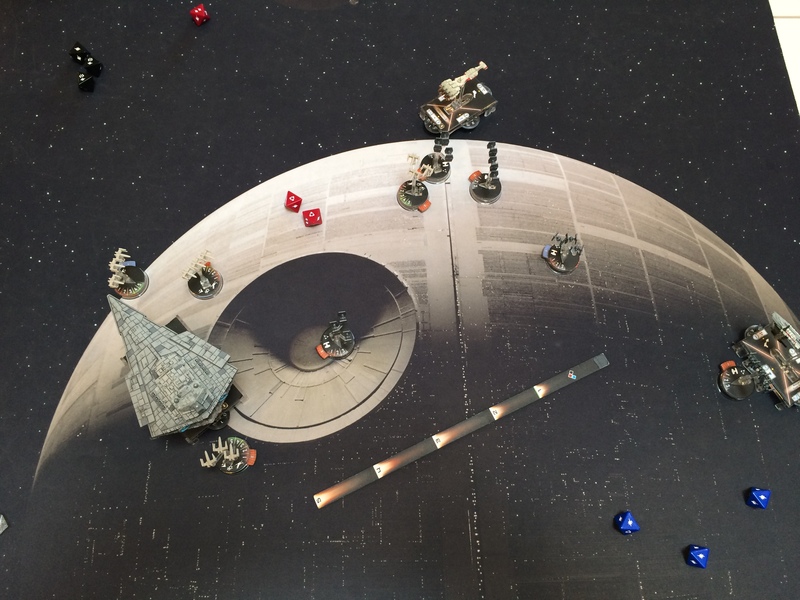 Kyle gives us a rundown of the plethora of Star Wars goodness that Fantasy Flight Games produces and talks about FFG in general. He also waxes philosophical about Star Wars and what it means to him and his family. 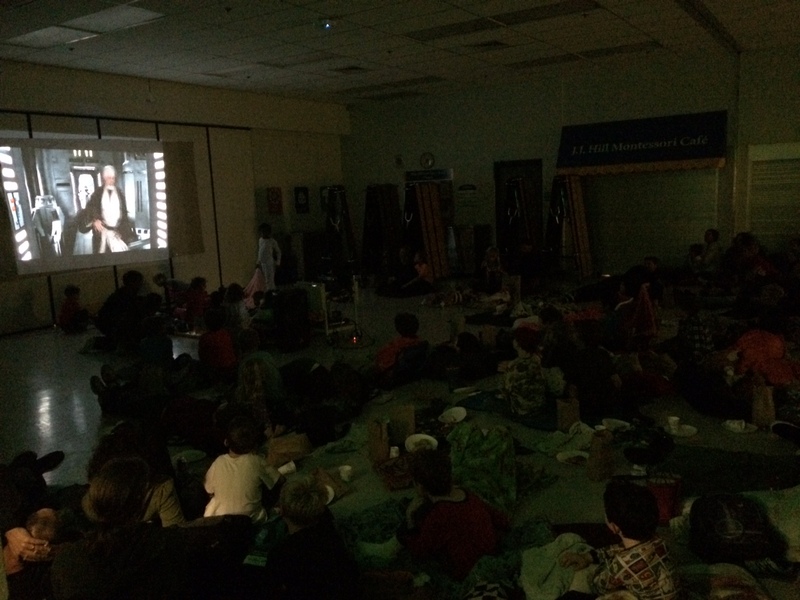 The kids had a movie night at their school last Friday, a showing of A New Hope. I think my favorite part was watching a bunch of kids startle when Luke ignites his father’s lightsaber for the first time. A lot of those kids were watching it for the first time, which is great (but which also leads me to rant about the absence of Star Wars on Netflix). Anyway, here’s a photo from the night. Doesn’t do the crowd or the atmosphere justice. I finished Lost Stars. It’s great. And some other stuff. But enough of that. Let’s get to the interview. 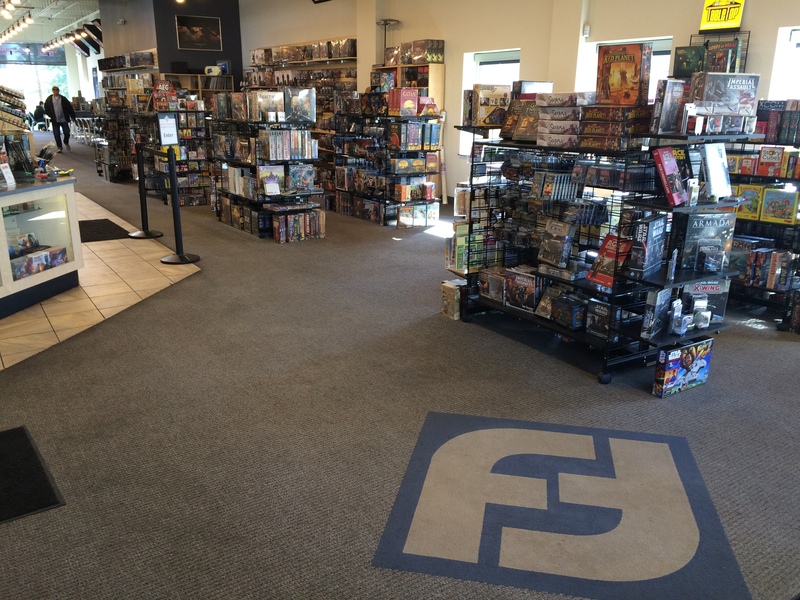 Kyle and I talked at the Fantasy Flight Games Center, which is a jaw-droppingly awesome game store that doubles as a place to play almost any table-top game your heart desires. 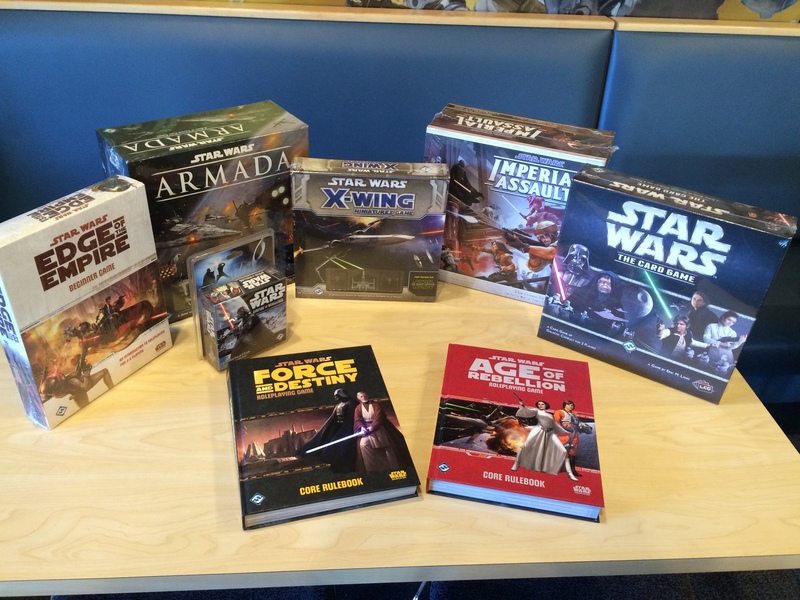 Here are the base Star Wars games FFG offers. Not pictured, of course, are the many beautiful expansions of these games. 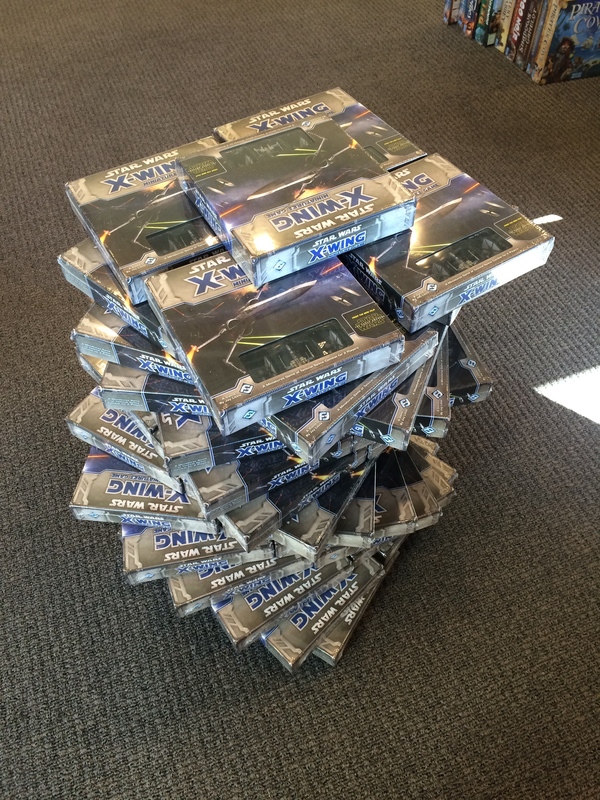 Just a pile of X-Wing games for sale. No bigs. 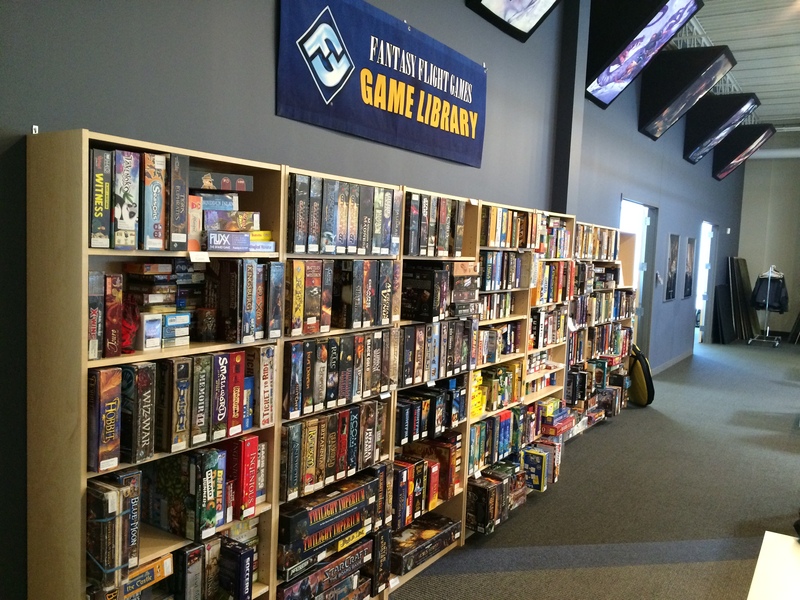 There are many, MANY, games available at the Center. And not only are you able to buy all of those games above, but you can also just walk right into the place and play any of these games all you want all day long for free. Pretty amazing, right? And here’s where you do all of that playing. See those doors in the back of the room in the picture below? They lead to another room the same size as this one. 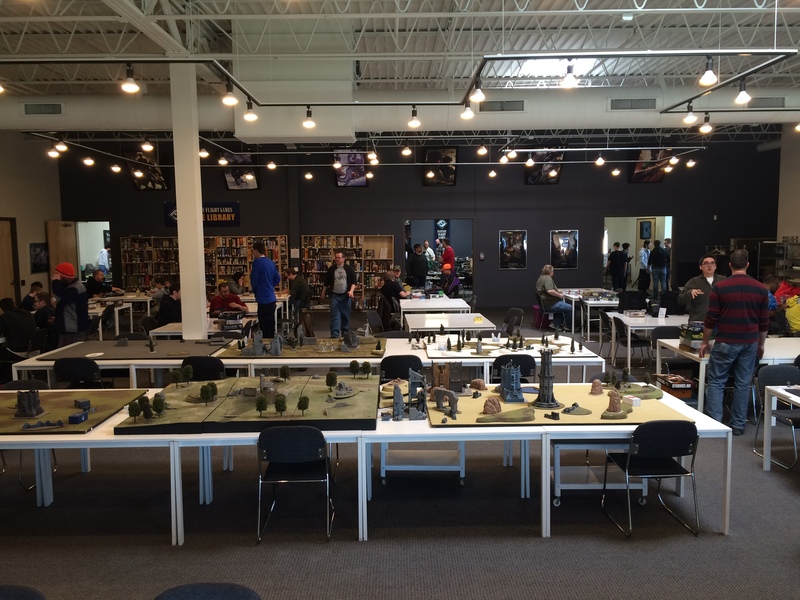 There was a Warhammer tournament taking place in there on the day this photo was taken. 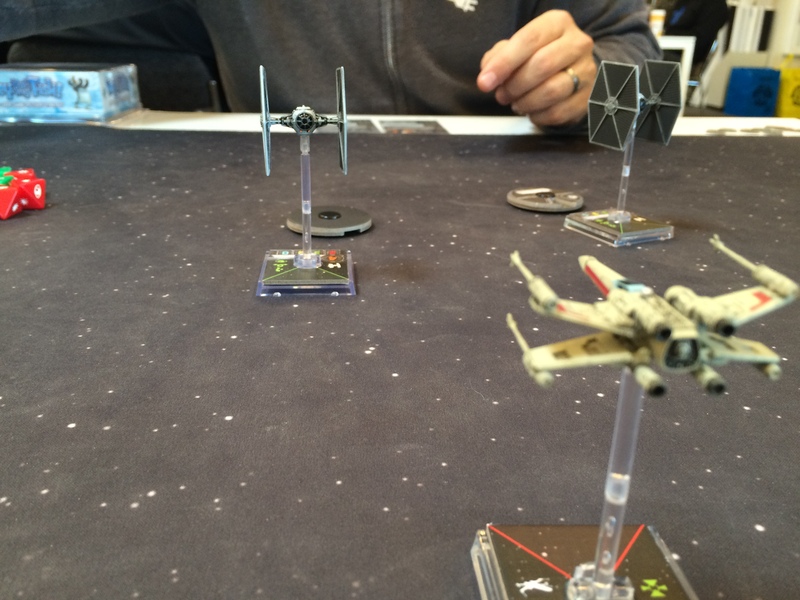 My friend Kris and I played a quick game of X-Wing with Kyle’s help. The people next to us were playing Armada. Here’s what their table looked like at one point. 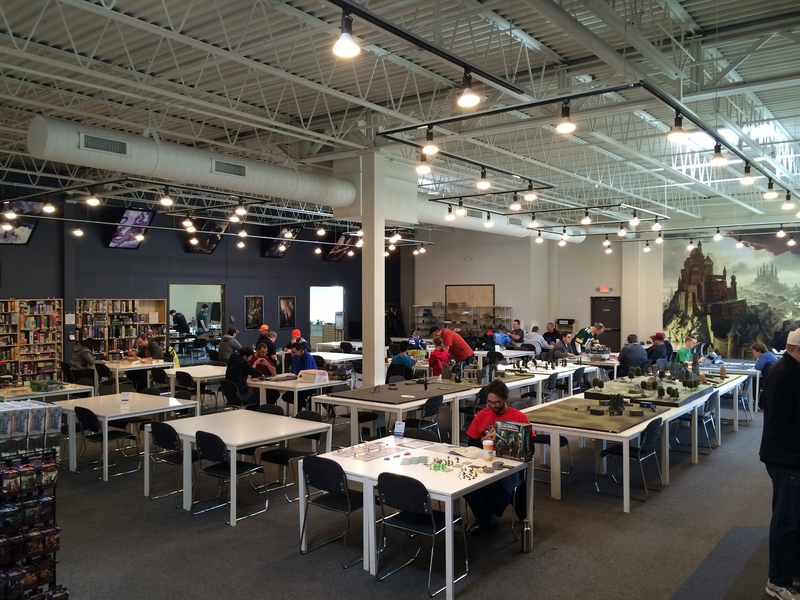 The Fantasy Flight Games Center is a very clean and amazingly minimalistic place. 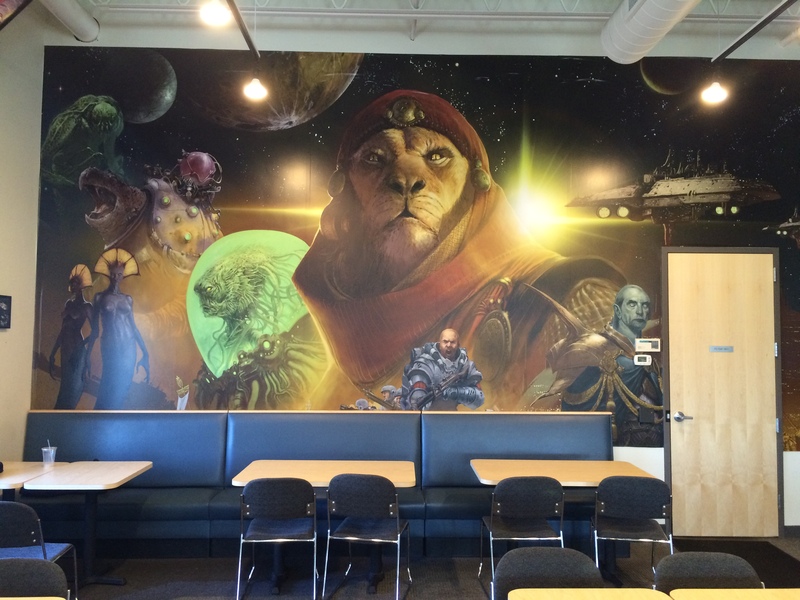 The only thing on the walls is art from their games, Star Wars and non. 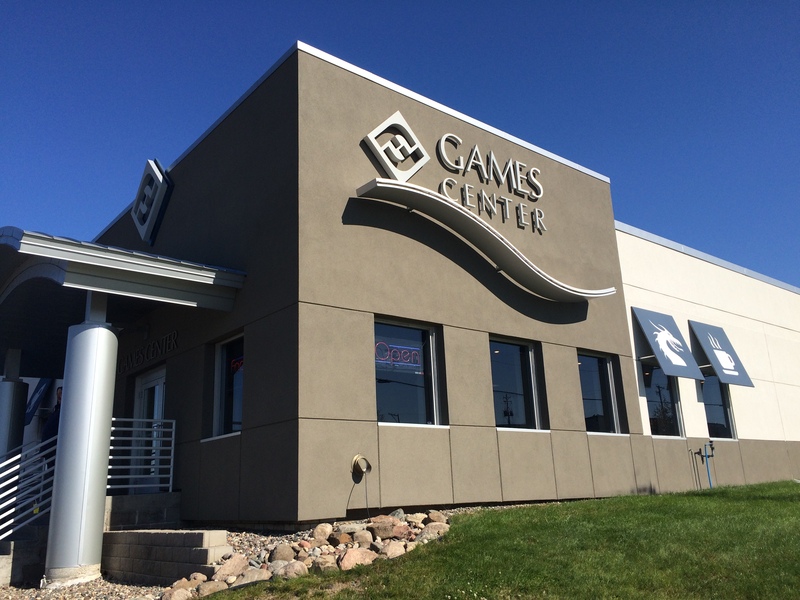 If you’re ever in the Twin Cities metro area and you’re a gamer of any sort, you owe it to yourself to stop into the Fantasy Flight Games Center. 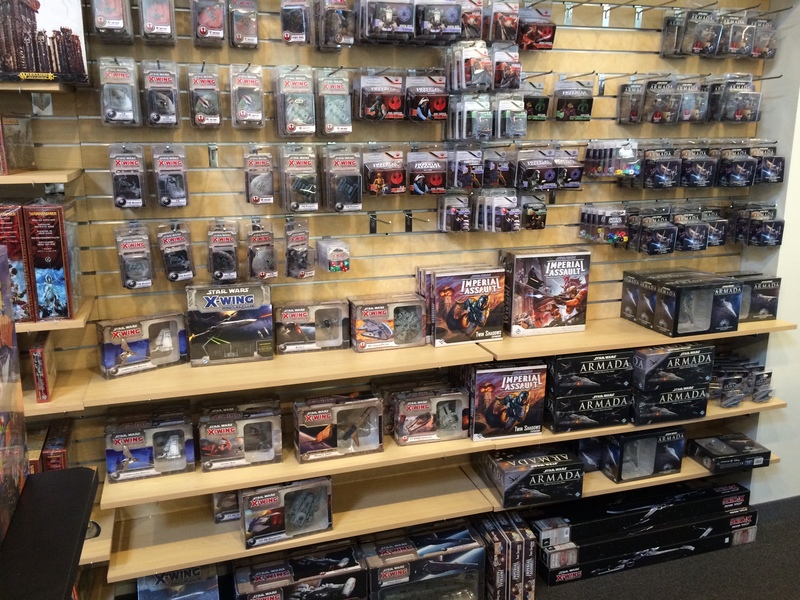 The place is a work of art, gamer heaven and so chock-full of Star Wars content that your head will spin. Quick shout-out to Joe from The Jodo Cast podcast for tipping me off to this treasure in my back-yard. If you’re into Star Wars gaming of all kinds, you’re going to want to give a listen to his podcast. And a big thank you again to Kyle Dekker for taking the time to talk about all the Star Wars games that FFG has to offer!